The city of New Philadelphia has received a $14,880 grant from the Rainbow Connection for construction of a handicapped fish pier at Tuscora Park. 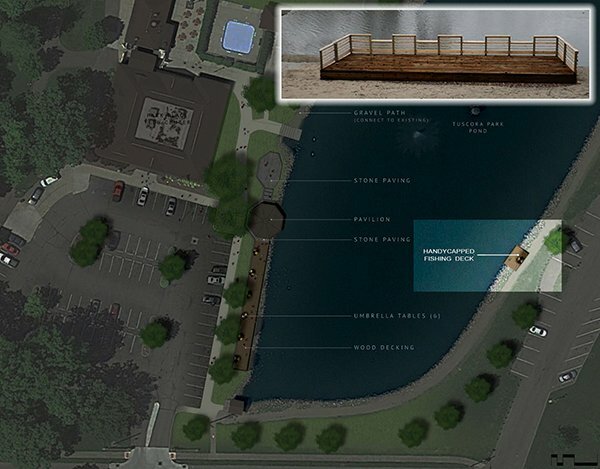 The pier will be located on the Maloney Drive side of the park pond. It will accommodate wheelchairs and will be accessed from near by handicap parking spaces. Construction will begin as soon as the drawings are done. Gor-Con Construction of Dover has already provided a quote for the project and will begin work whenever the company can fit it into its schedule. Since the boardwalk construction, we have had a number of people who are wheelchair-bound use the boardwalk. We have had some requests to fish off the boardwalk, but we had to prohibit it because those fishing there might snag somebody with their fishing poles, and the railing is high for somebody in a wheelchair. Mayor Day approached the Rainbow Connection’s executive director, about funding the cost of the pier and was later notified of approval for the project.